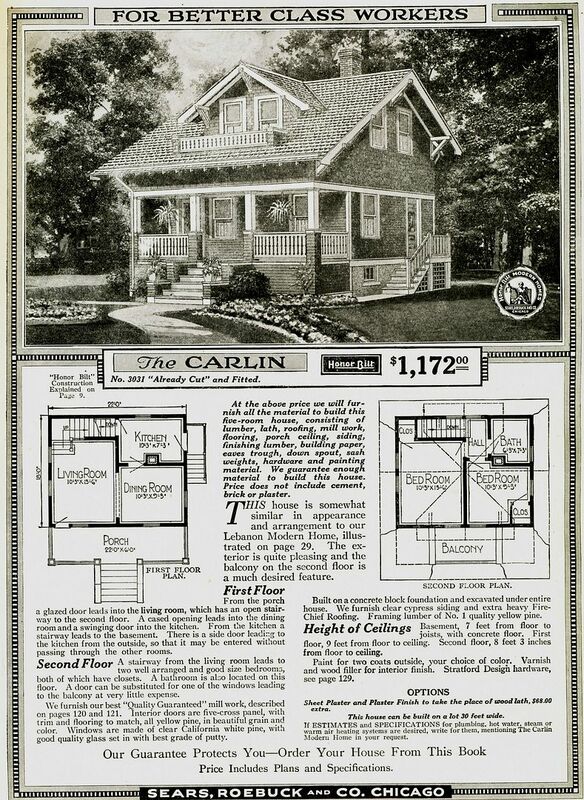 Below, I’ve posted pictures of the original catalog page, followed by extant houses in Carlinville. 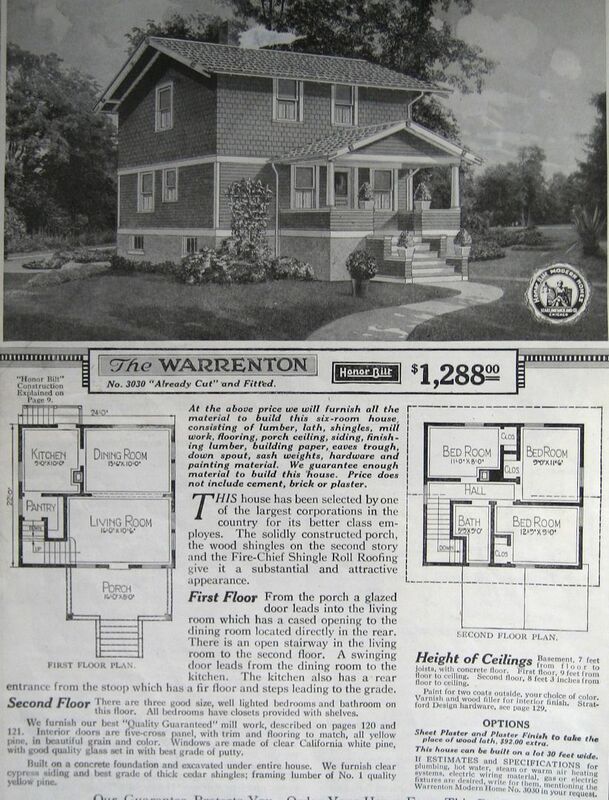 Sears Warrenton as seen in the 1919 Sears catalog. Sears Warrenton in Standard Addition. 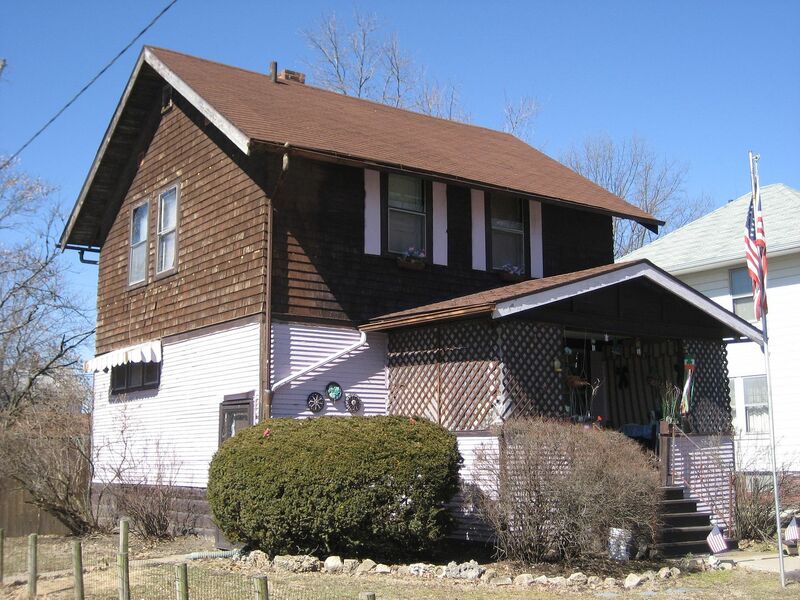 I like the pink bottom, and I like the fact that this house retains its original sidings, but the lattice work around the porch is a little distracting. 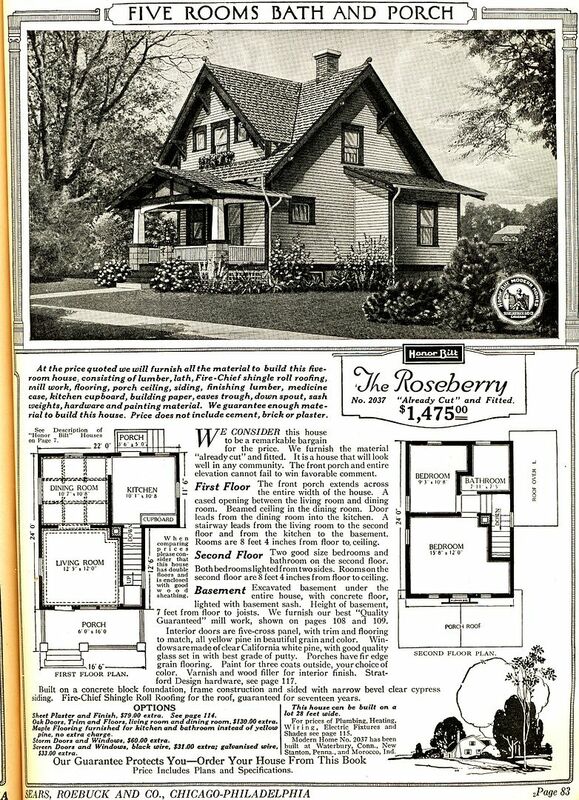 Sears Roseberry from the 1920 Modern Homes catalog. 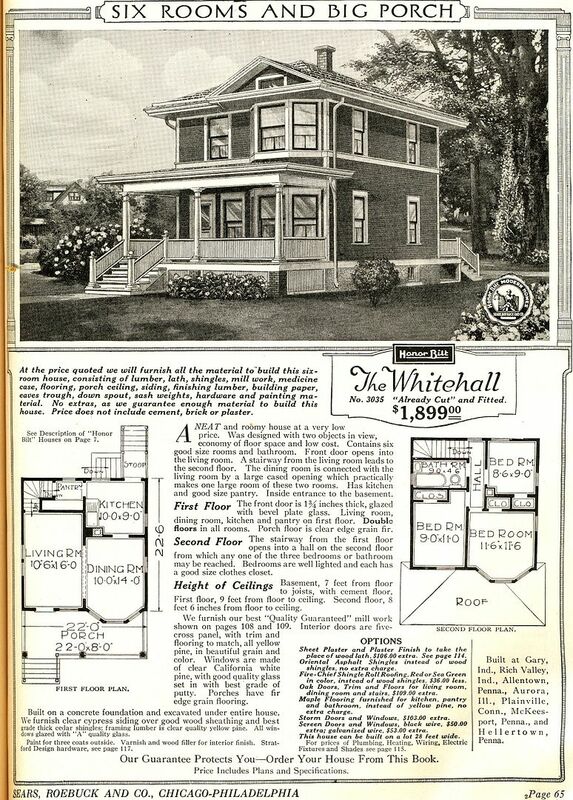 This Sears Whitehall is in originally wonderful condition! 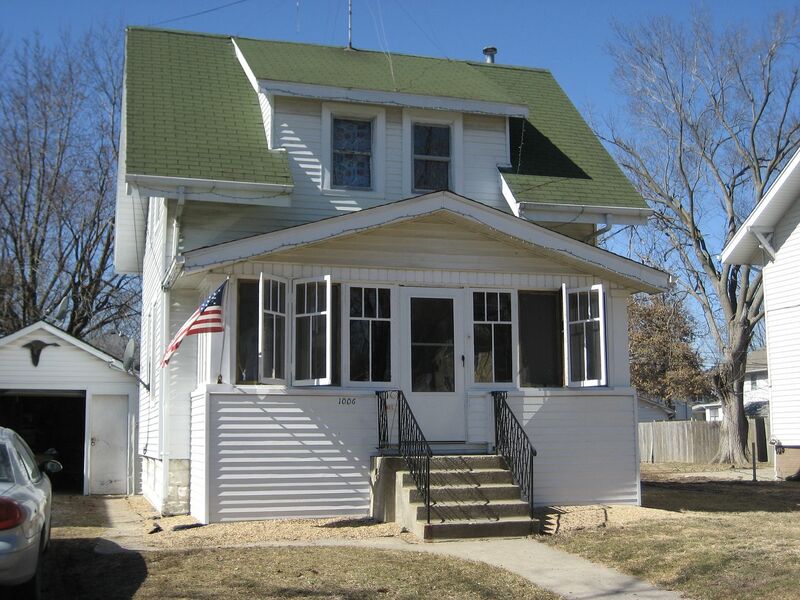 The windows on the porch of the Sears Lebanon were probably added soon after the house was built, or in the 1930s. Very nicely done. Gladstone/Langston. 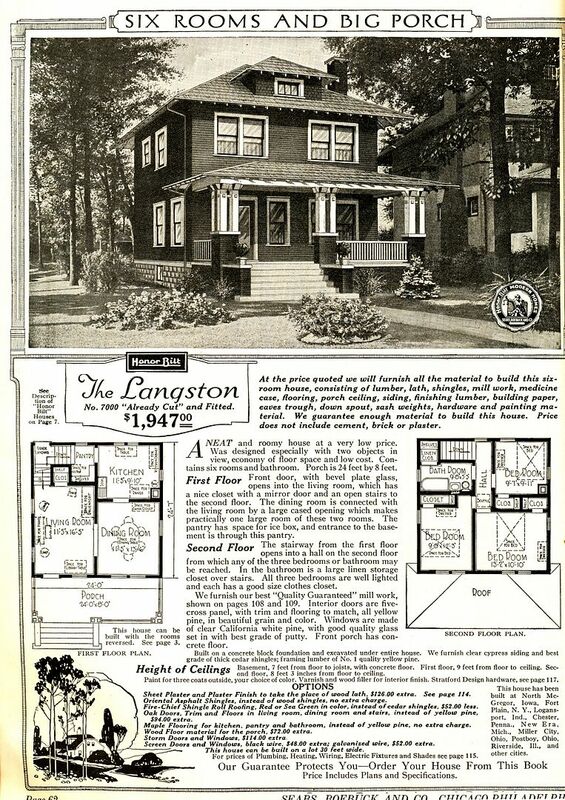 As you'll see below, there's very little difference between the Sears Gladstone and the Langston. 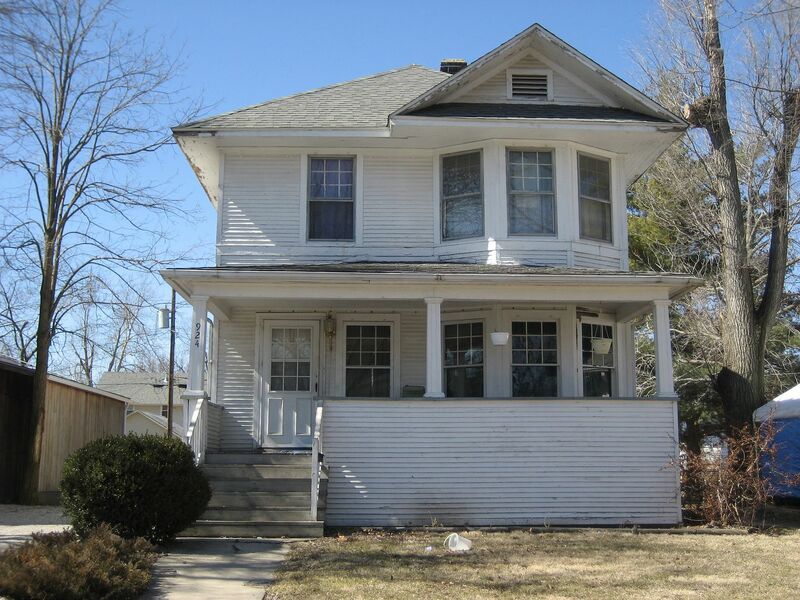 The salt-treated porch railings, foundation lattice work, and satellite dish are probably not original. The heading reads, "For Better Class Workers." 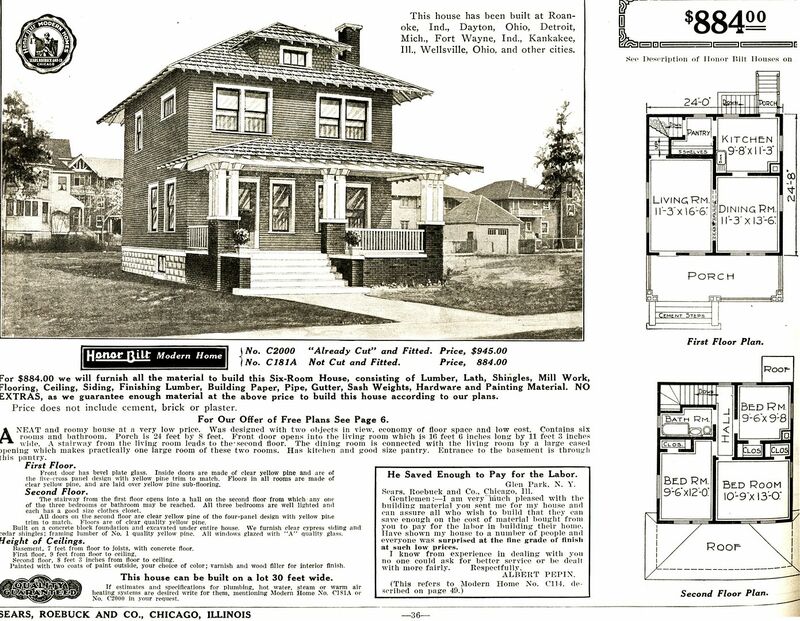 I'm happy to report that Sears did not offer a house for "Lesser Class Workers." Desperate to remain in contact with the outside world after losing its front windows, this clever little Carlin erected a Ham Radio antenna. 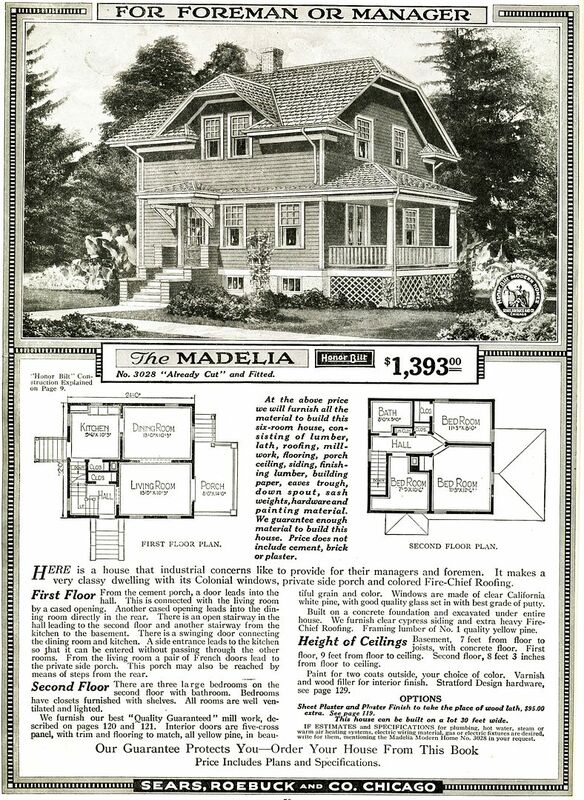 The railings and lattice work on this Sears Madelia are not original, but they are nicely done. 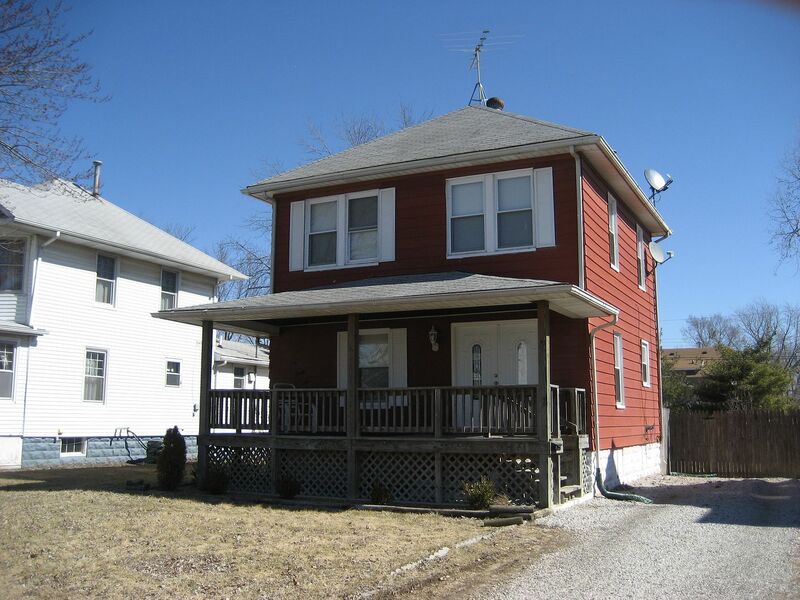 A most attractive little house! 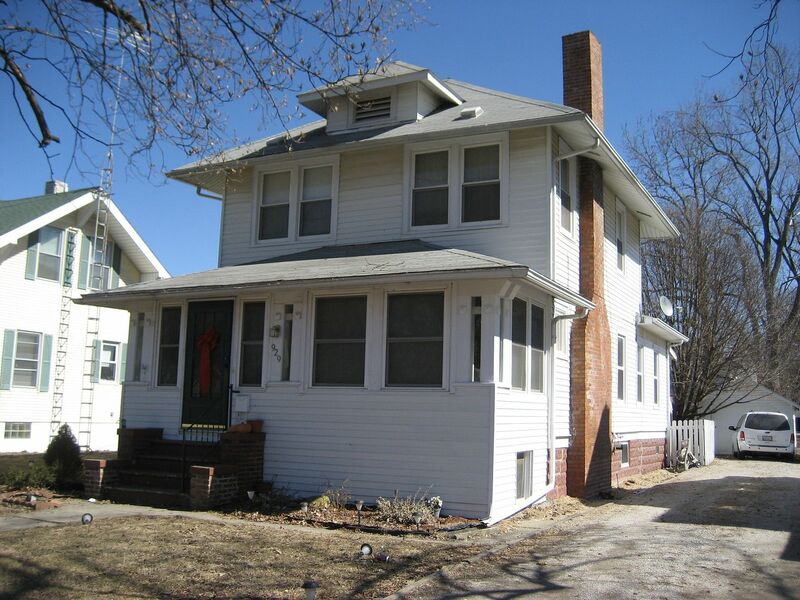 The spacious porch on this Gladstone was closed in, but the remodeling was done in a sensitive manner. 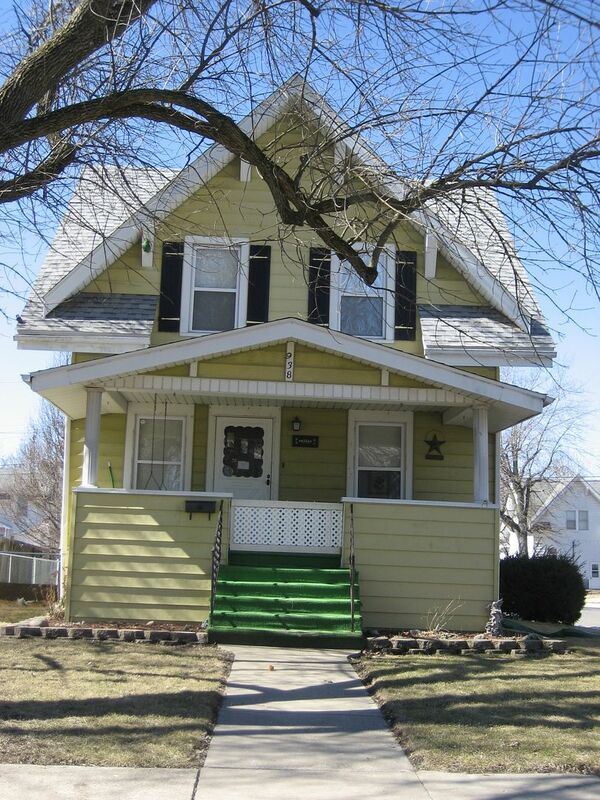 You can still see the unique porch columns with their flared blocks at the top. 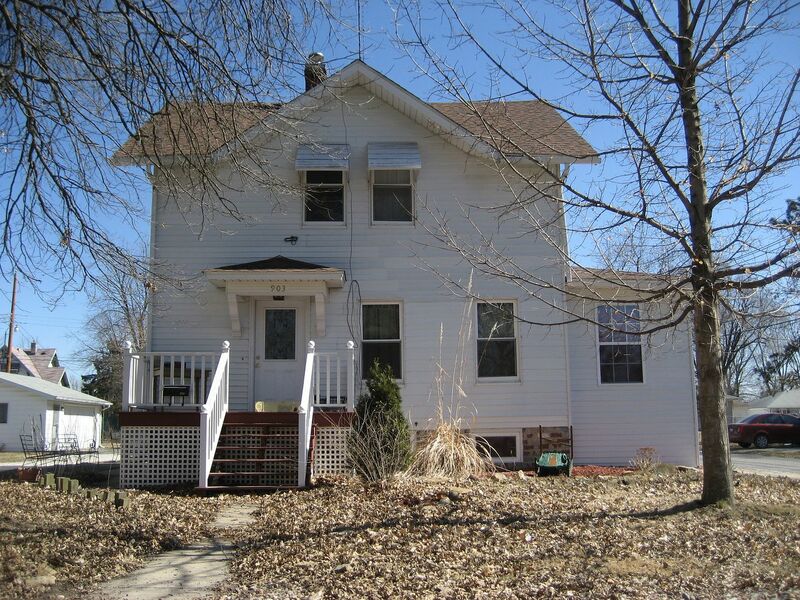 This Sears House. 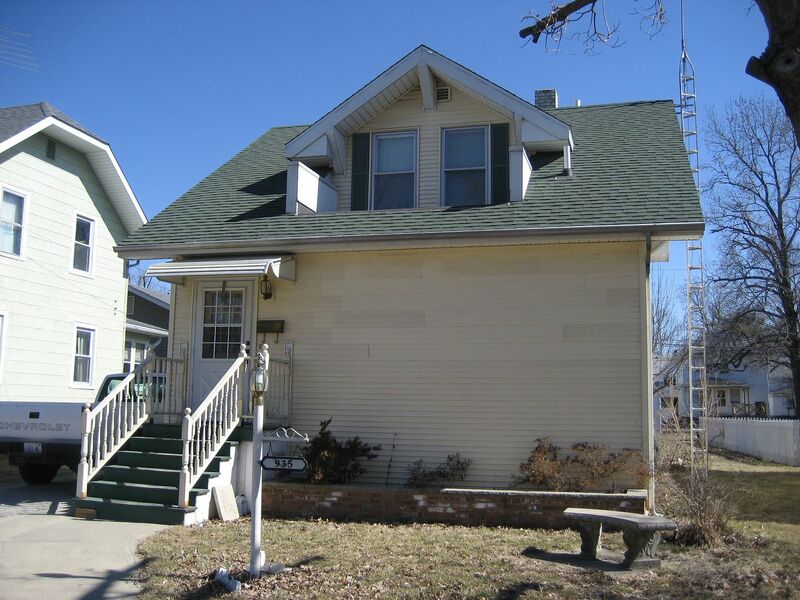 The fireplace is a rarity among Standard Addition's homes. It was probably added later. 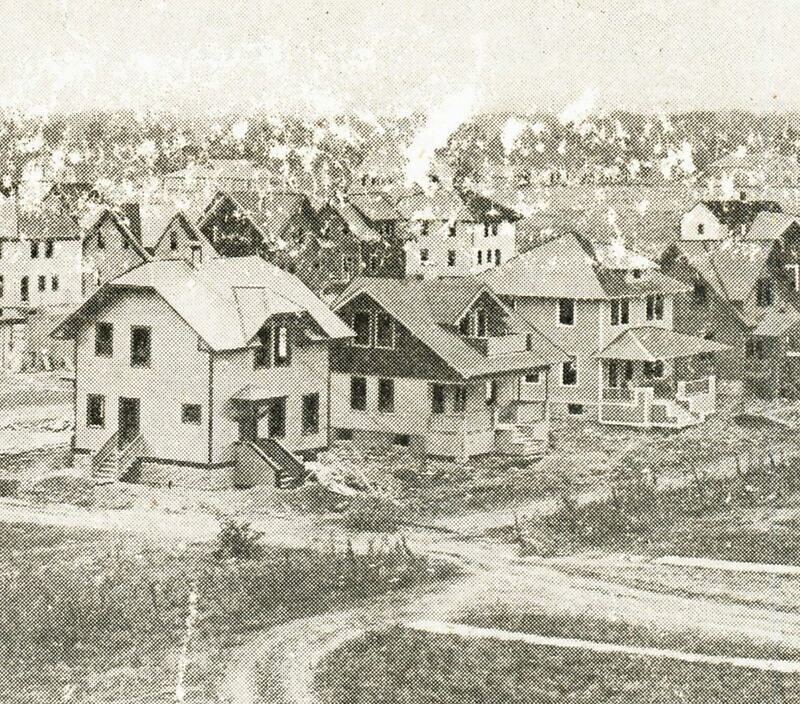 Vintage photo of Standard Addition, shortly after the houses were built.